Veteran Detroit on-air personalities, Foolish and Reggie Reg exited Classic Hip-Hop station “105.1 The Bounce” (WMGC-FM) earlier this month. Beasley Media Group (station owner) also recently named John Candelaria as program director. 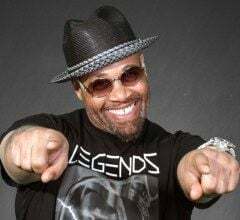 Foolish joined The Bounce in July 2017 to co-host “Bigg & Foolish” with Bigg (aka Big Boy aka Chunky) in the mornings after previously hosting mornings at 97.9 WJLB and “Hot 107.5” WGPR. The morning show is returning to its previous branding “The Morning Bounce” with Bigg and Shay Shay remaining in place. ‘Reggie Reg’ Davis hosted many years on the former Hot 102.7 and other Radio One stations. It was awkward when foolish would constantly reference "he's from the hood" and always make anything racial. The bounce was an opportunity to gather black and white audience as a team with Bigg. Bigg has a huge white audience from 95.5 and foolish has a following from wjlb.i also feel like foolish should have found his place at 105.1. And I ask Once again the obvious is clear that these radio personalities are no longer on the radio but why what happened?